Responding to lower than expected growth and inflation, Canada’s central bank lowered its benchmark rate from 1 per cent to 0.75 per cent on Wednesday. The move ended the longest period of unchanged interest rates in Canada since 1950, and was made in the hopes of offsetting the impact of considerably lower oil prices. The action was taken just ahead of Statistics Canada’s release of the latest consumer price index figures for December 2014. The numbers were released on Friday and confirmed the downward trajectory of the inflation rate, with Canada’s inflation rate falling from 2 per cent to 1.5 per cent year-over-year. After falling by 5.9 per cent in November, oil prices continued to fall in December and were 16.6 per cent lower than the year before. Oil prices had been falling since June and fell to below $60 a barrel by the end of December, a decrease of 24.6 per cent from the summer high. While transport costs declined in the 12 months to December, the other seven major components of the CPI showed increases. Food prices were up 3.7 per cent in December, slightly higher than the 3.1 per cent increase posted in November. Shelter prices also showed an increase, going from a gain of 2.3 per cent in November to 2.4 per cent in December. Among the eight major components, the only other category to show faster growth in December than in November was the ‘Recreation, education and reading’ group, which grew from 0.6 per cent in November to 0.8 per cent in December. Health and personal care grew by 1.3 per cent, which represents a slowdown from the 1.6 per cent growth in November. Prices for alcoholic beverages and tobacco products slowed down but still grew by 5.6 per cent. While oil prices fell and brought down transportation costs, consumers still continue to see higher heating bills as natural gas prices increased by 16.5 per cent. Food prices stood out by posting increases across the board. Prices of fresh vegetables grew by 6.9 per cent in the past twelve months, and meals at restaurants cost 2.5 per cent more. The cost of meat increased by 13.1 per cent year-over-year and helped drive up the cost of food for Canadian consumers. Manitoba was the only Canadian province to post a higher inflation rate in December than in November, with the consumer price increase growing from 1.1 per cent to 1.5 per cent. British Columbia, which was the odd one out last month, saw inflation growth fall from 1.2 per to 0.9 per cent. Ontario posted an inflation rate of 1.9 per cent and Quebec grew by 1.1 per cent year-over-year. Prince Edward Island was the only province to have negative inflation, as its price growth rate dropped from 0.1 per cent in November 2014 to -0.4 per cent in December. The other maritime provinces are also coming dangerously close to zero growth: Newfoundland grew by only 0.2 per cent (down from 0.7 per cent before), while Nova Scotia fell from 1.5 per cent to 0.6 per cent, and New Brunswick went from 1.1 per cent inflation to 0.5 per cent. In the prairies, Saskatchewan’s CPI growth rate fell from 2.1 per cent to 1.7 per cent. 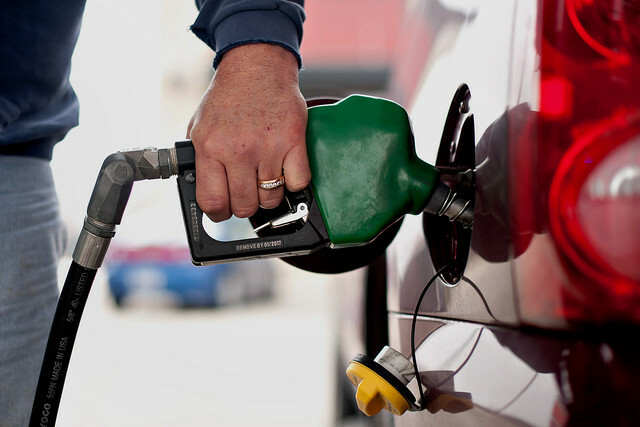 Alberta continued to slow down as well, inflation was 1.9 per cent in December. The falling oil prices have hit the oil producing province especially hard – it had a 3.9 per cent inflation rate as recently as March 2014. Out of the nine provinces to see lower inflation, tiny Nova Scotia experienced the biggest slow-down as its inflation rate dropped by 0.9 per cent from November to December.